According to Fira Qatar, coordinators of the upcoming event, and the Qatar Tourism Authority (QTA), the eighth version of the Qatar Motor Show (QMS) will be held at the Doha Exhibition and Convention Center on October 17-21, 2018. The event is fully supported by the Prime Minister and Minister of Interior, HE Sheikh Abdullah bin Nasser bin Khalifa Al Thani, with the theme “Driving to Innovation.” The organizers said fans can expect a more extravagant show compared to the previous one. Now, car enthusiasts can drive around Qatar with style and enjoy its most scenic and culturally relevant places! This year, fans can expect to see more participants. The 2018 QMS event comes with a new strategy to provide richer content, focusing on sustainability and innovation. The organizers also aim to make the show a more prominent one, and one that shows up in the map of international car events. Ahmed Al Obaidli, the Qatar Tourism Authority’s Director of Exhibitions, said that as a public organization, it has partnered with private institutions to raise the level of the local event to an international one. This and similar events also aim to make the country, in general, a first-class destination for anything business-related. 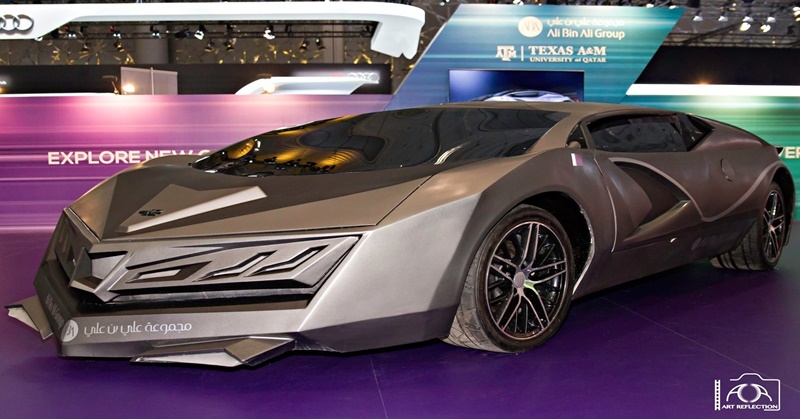 For the past seven years, the Qatar Motor Show has grown significantly and substantially. Now, it can claim to be one of the most popular and successful automobile shows in the region. It has established its role as an avenue for international brands to merge with local car agents. The program has also raised interest among local car consumers and gained potential ones in Qatar and neighboring countries. According to Ahmed Almulla, Elan Events Chief Operating Officer for Entertainment, the Qatar Motor Show is one of the largest consumer events in the country. Each year, the QMS brings lots of residents, peaking their interest, and gathers all car enthusiasts from all parts of the region. Almulla adds it is constantly trying to improve their show yearly. He said the organizers understand that the world of the automotive market is a fast growing one, and in order to cope with new demands, they should be up to date — not just with the latest technologies, but also the latest demands of the consumers. Events like this allow exhibitors to meet with consumers, and organizers as well as exhibitors continue to cooperate to provide a great show. There you have it! If you are a car enthusiast or are curious to know the trends of the motor world, then you should mark your calendars on October 17-21 for the Qatar Motor Show. In other news, check out when the new iPhone will be released in Qatar.